Several scholars and universities in the USA and Australia have within the past year reported incidents of the Chinese government’s interference in their activities. This summer  the University of California in San Diego was informed Chinese scholars could no longer receive government funding for their studies at the institution after the university had invited the Dalai Lama for their commencement ceremony. 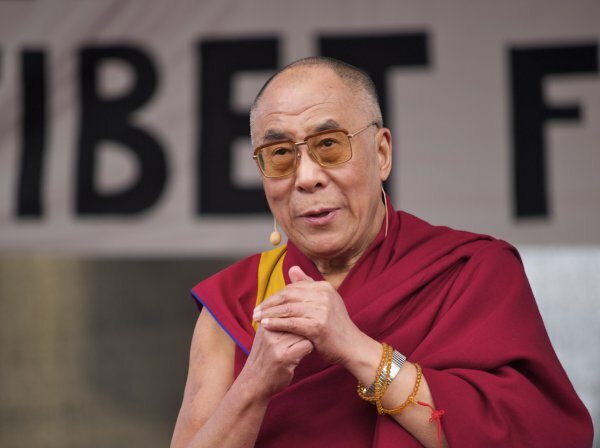 The Chinese Students and Scholars Association (CSSA), especially, raised concerns about the Dalai Lama speaking on political issues as he is depicted as a separatist and an opponent to the Communist Party in China. Scholars are concerned that the invitation of speakers and the publication of articles criticising the Chinese government could put Chinese collaboration and funding at risk. In June , UCSD hosted the Dalai Lama to speak at its school-wide commencement ceremony for the 2016-2017 academic year. The invitation generated controversy among some members of the school’s Chinese student population. The Chinese government strictly controls information within its borders about the Dalai Lama, who it views as a separatist and a symbol of China’s feudal past. Many Chinese citizens hold these same views. In the months preceding commencement, members of UCSD’s Chinese Students and Scholars Association (CSSA), a global network of Chinese students at overseas schools, met with the university’s chancellor to request that the Dalai Lama refrain from discussing politics at the speech. They also said that they informed the local Chinese embassy of the Dalai Lama’s scheduled appearance. Now, the Chinese government has retaliated. On Sept. 16 , UCSD professor Victor Shih tweeted that a colleague of his received notice that the China Scholarship Council, a branch of the government that funds overseas study for Chinese citizens, would no longer process applications to study at UCSD for scholars who had not already received a visa appointment from the US embassy. The China Scholarship Council is a branch of China’s Ministry of Education. It typically provides scholarships for graduate students and professors at Chinese universities to travel to an overseas university as a visiting scholar. The CSC did not respond to Quartz’s email about the reported application freeze. The application freeze does not bar undergraduates, graduate students, or other academics from attending UCSD—it merely prevents scholars from obtaining CSC funding to do so. As a result, these specific measures alone will likely do little to curb the school’s influx of Chinese students. In the fall of 2015, Chinese students made up 10.6% of UCSD’s student population and 55.7% of its international student population. Yet the retaliatory action nevertheless shows that if universities invite speakers espousing views that the party hopes to suppress, Beijing might attempt to discourage academic exchanges with such schools. Inter-university exchanges between the US and China occur across all fields. Schools that invite controversial speakers could risk losing collaboration and funding opportunities with China. Over the past year [2016 – 2017], various academic institutions have faced pressure to self-censor to appease either Chinese authorities or Chinese students themselves. In August , Cambridge University Press announced it had removed over 300 articles from the China-facing website for the China Quarterly, one of the leading academic publications for sinology, due to demands from the government. It later reinstated the articles due to uproar from the academic community. Meanwhile, in Australia, several professors recently found themselves for making statements, some of them about international politics that offended their Chinese students.